There are many reasons you might wish to change the name on a birth certificate. There are rules for each type of change. This includes changing from one name to another, correcting a misspelled name, adding a missing name, or correcting a parent’s information. To change a name on a birth certificate, contact the Department of Health’s Division of Vital Records (DVR). You can bring documents to DVR in person or you can mail them. You can find the DVR contact information, including the agency street address, on the Division website. 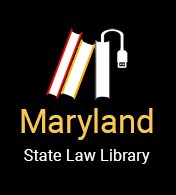 Parents may change the name of a child born in Maryland one time within the first year, without a court order. This requires a written request to the Department of Health from both parents listed on the birth certificate. Both parents must also submit an affidavit (a sworn statement) that they are the true parents of the child and that they are making the request of their own free will. The affidavit must be sworn before a notary public. A second name change within a year, or a name change after one year, requires a court order. A court order will also be required if the father is not named on the birth certificate or has not signed the Affidavit of Parentage. If the name on a birth certificate is spelled incorrectly, you do not need a court order to correct the spelling. You must provide the required documents (listed below) to show the correct spelling. If the first and last names are missing from the birth certificate, these can be added without a court order. If the first name is missing, and the last name on the record is different from the last name the person uses, the last name on the record will be updated when the first name is added. You must provide the required documents (listed below) to show the name that is in use. The Department of Health will only agree to correct the record if it is satisfied that the documents submitted prove the person's name. The Department may require additional documents. Other pertinent records which meet the Secretary's approval and corroborate the parent's data. The Department will only agree to correct the record if it is satisfied that the documents submitted prove the necessary facts. The Department may require additional documents, depending on the exact documentation you provide.